What a quack upWhat a quack up! 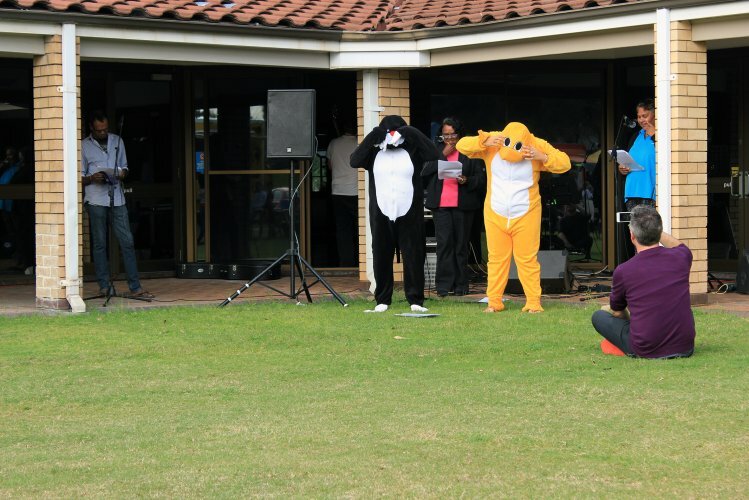 As part of Reconciliation Week, Glenis Little and Catherine Piota organised a First Nation’s Festival in the grounds of the Queen Elizabeth II Seniors and Community Centre in Geraldton. The Bundiyarra-Irra Wangga Language Centre mob go together to entertain the audience with a rendition of Heads Shoulders Knees and Toes. It was the purrfect quack up for a Saturday afternoon. Well done Jenni and Rosie! A unique Aboriginal tourism experience will soon be offered in Geraldton. Bundiyarra Aboriginal Community Aboriginal Corporation (Bundiyarra) is about to reap the reward of community consultation, strategic planning and solid hard work that has resulted in more than $270,000 in funding through the Liberal National Government’s Regional Grants Scheme. Regional Development Minister, Terry Redman, announced the funding on July 27. The Regional Grants Scheme is designed to improve and develop infrastructure and services in the regions, through the Royalties for Regions program for community, public and not-for-profit organisations. Mr Redman said the funding of $272,000 has been awarded to Bundiyarra to help the corporation develop an urban Aboriginal tourism venture. Bundiyarra CEO, Marchelle Retallack, said the Bundiyarra Board is thrilled with the funding and it allows the corporation to realise a long-held aspiration to expand and be more self-sufficient while offering a unique experience to tourists. “The Board and staff have worked hard alongside community to make this happen and now we will be able to progress our plans to develop the grounds and offer a unique cultural centre for greater community and a tourism experience around the dreaming tracks on the Reserve,” she said. A big day is planned at Bundiyarra on August 11 to celebrate the Royalties for Regions funding. 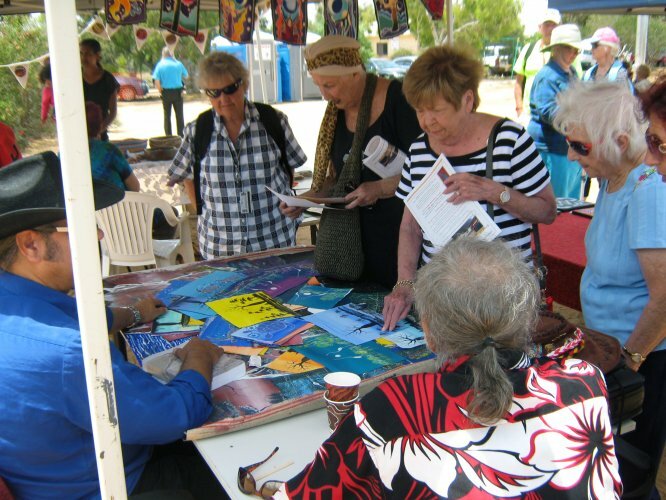 The Language Centre has been out and about again, heading north to Carnarvon and Shark Bay. Part of the Language Centre’s mandate is to make contact with communities and form relationships to help preserve language. 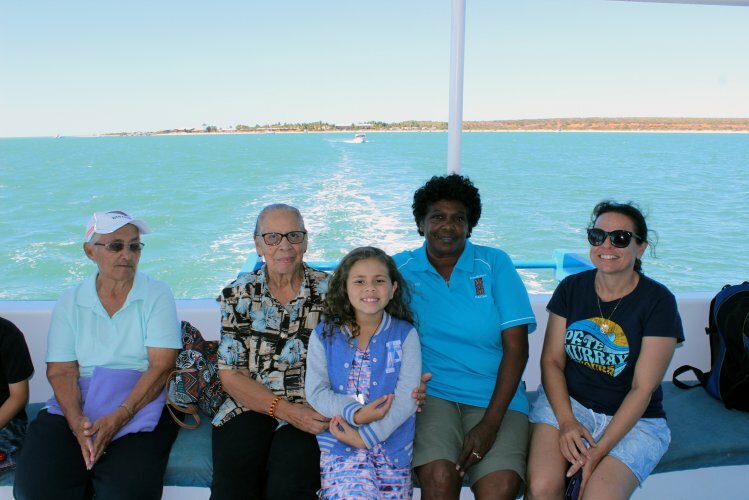 Linguist Rosie Sitorus said on the recent trip to Shark Bay with Language Centre Coordinator, Jenni Gregory-Kniveton and Malgana woman and Bundiyarra Board member, Bianca McNeair, was to meet community and show them some of the Bundiyarra-Irra Wangga Language Centre resources. “We met with a mixture of people, young and old,” she said, “we haven’t made a resource in Malgana for 13 years as there are no speakers. “We showed them the Alphabet poster project, which is a great way to connect with communities and ensure every community has access to resources in their language,” said Rosie. The team had a meeting at the Yadgalah Aboriginal Corporation in Denham (Shark Bay), and have established contact to return to do some more fieldwork. Visiting Carnarvon they did some Yingkarta and Warriyangga work. “We will also being doing some Warriyangga visits in Burringurrah soon,” Rosie said. "This months Local Language 'Badimaya' | mayidyi - Aboriginal man, Aboriginal person | dyuba - Child | murni - Woman, Female | dyudya murni - Old woman | dyudya - Old person |"